Carla Mayernick on Where is Abe? 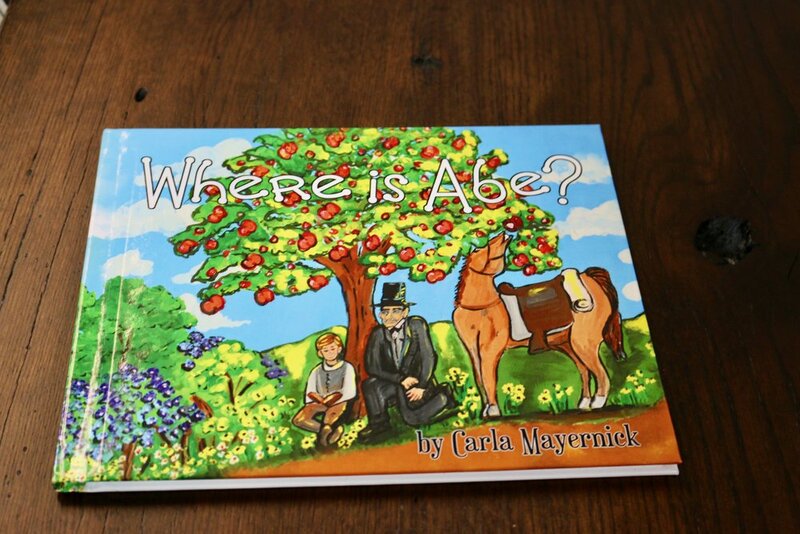 Girard resident, Carla Mayernick, is the author and co-illustrator of the hit book “Where is Abe?” We spoke to her about how the book originated and what her hopes are for the future. Where did the idea to write ‘Where is Abe?’ come from? My son Shawn was searching for a book about Abraham Lincoln for his three-year-old son because they would see the statues around Springfield and Pierce was curious. After searching for an age-appropriate preschool book about Abraham Lincoln, Shawn could not find one and asked me to write and illustrate one. The book was written in July of 2014. When were the first copies of ‘Where is Abe?’ printed and released? The book was printed at R&R Bindery in my hometown of Girard, Illinois, and was first released in July 2015. I illustrated many of the 40 illustrations full-color on 11 x 17 canvas. My daughter, Gigi, also designed and painted several - so we were a team. Where is the book available to purchase? At 28 locations in Springfield and surrounding towns; all the historical sites in the book are where we sell the majority of them. 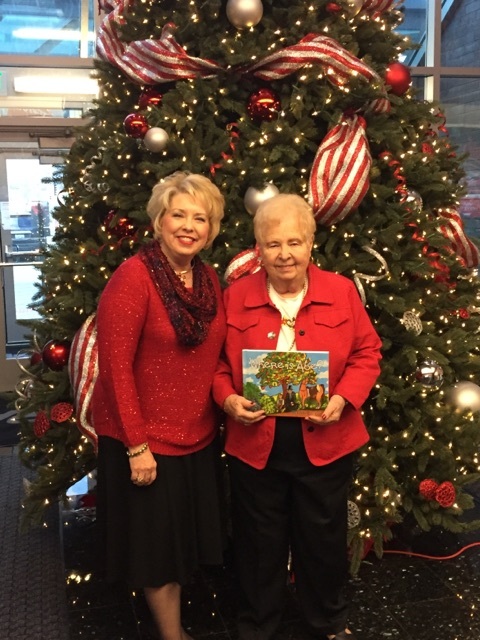 Hyvee and Urban Sassafras were the first retail to carry the book. 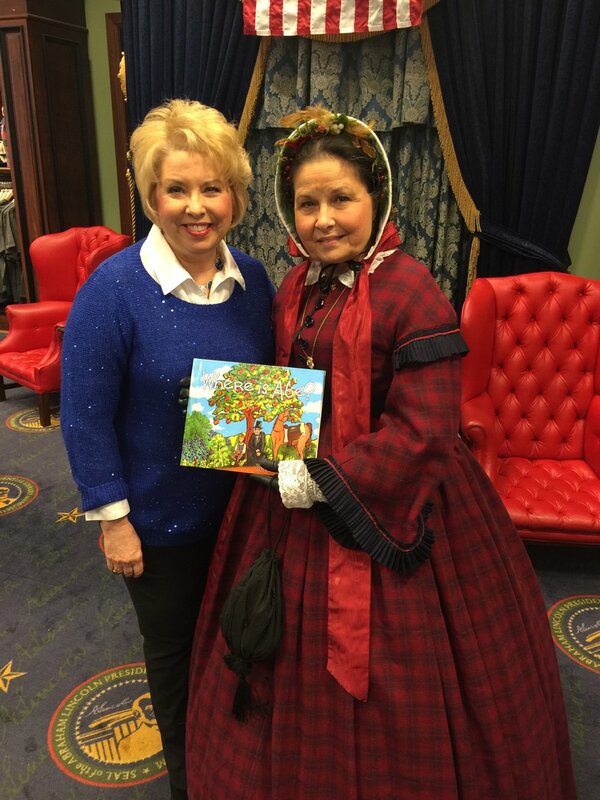 Look for the book at Lincoln's Home, the ALPLM, New Salem, Lincoln's Tomb online store, The Dana Thomas Home gift shop, Cozy Drive In, WM Van’s Coffee, Studio On 6th, Bunn at Peases Gourmet, Country Market on Wabash, HomeScapes of Springfield, the Wardrobe, The Sly Fox Books in Virden, Doc's Soda Fountain in Girard, Lincoln Heritage Museum in Lincoln, My Sister's Closet in Carlinville and Books on the Square, Jacksonville to name a few. You can also purchase the book online at www.whereisabe.com. What age group is the book targeted at? It is targeted for preschool and early elementary up to about six grade. However, many teens and adults have purchased the book because they love it and it reminds them of field trips to Lincoln sites. Everyone comments on the vibrant illustrations. It is a whimsical tour of Springfield's highlights. Why do you think the book has been such a success? I feel that this project was divinely appointed to my family and myself to fill a need for a simple children's book about Abraham Lincoln; one of the greatest men of our time. 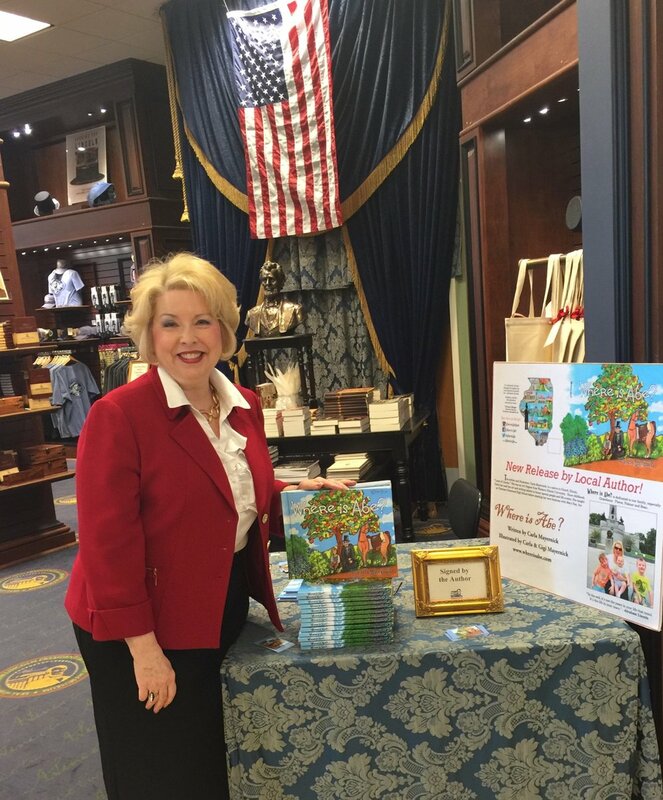 I am grateful for the support of the local community at every book signing and reading that I have done this year. We have loved meeting the Lincoln fans. I have been told that this book is timeless and I have only scratched the surface of the market. I am hoping to engage more signings and markets in the near future. Hopefully nationally, perhaps Gettysburg etc. Doing readings at schools and libraries has been very successful. Every elementary school in Illinois needs this book in the library. What accolades have you been given since launching the book? 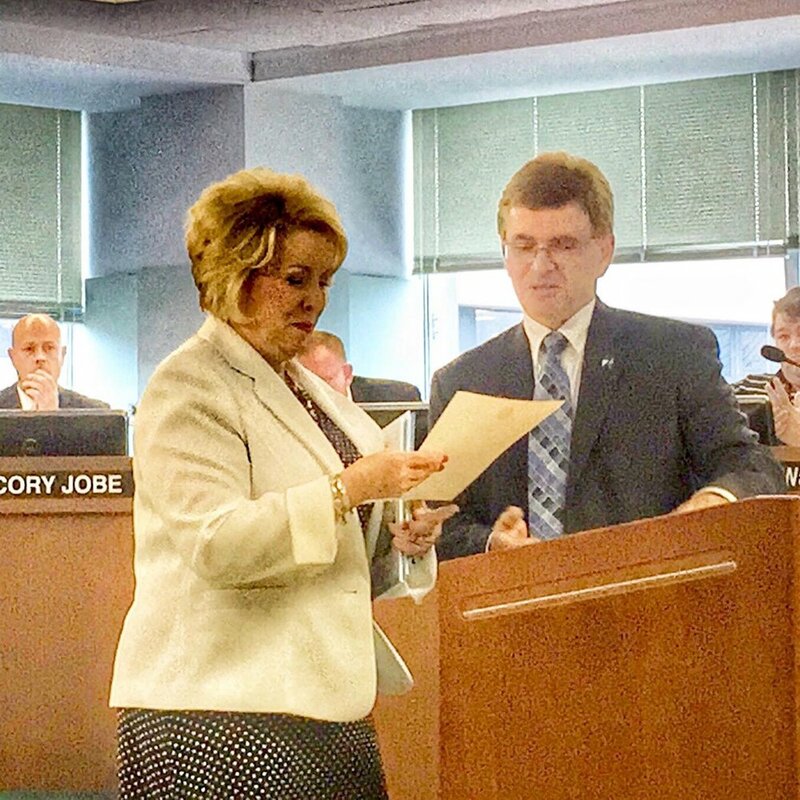 A very coveted moment when Mayor Langfelder presented me with a proclamation in August of 2015 on behalf of the city of Springfield for promoting literacy and Lincoln. Also the Sister Cities Association promoted my book to the Japanese entourage and students in their visit to Springfield for the 25th anniversary celebration. I was awarded SJR Reader's Choice Best Local Author in March of 2016 and also honored to be a finalist nominee for the Athena Leadership Award of Springfield in July. None of this would have been possible without my husband, John and his endless hours with layout and publishing skills, Shawn's vision and editing, and Gigi's artwork. It has truly been a family affair. It's never too late to follow your dream, but you need a dream team. Anything else you’d like to share with Eighteen21.com readers? An amazing discovery happened during the process of illustrating this book. I recall a conversation with my father 20 years ago, when he gave me a copy of a family genealogy book, dating back to the 1300s in Scotland. He mentioned that Abraham Lincoln was a frequent visitor to his great-grandfather’s farm in McLean County, Illinois. Because he never elaborated on the story and is now deceased I totally forgot about it. The memory hit me during painting one of the scenes. I put down my brushes and started digging for the family history book. Then I found on page 9 of a 200-page book, the relationship my third-great grand parents, Nancy and George McNaught, had with Abraham Lincoln during his travels on the Eighth Judicial Circuit during 1840s and 50s. He routinely stayed on their farm on his route to Bloomington and tutored one of their sons, Joseph, under a tree on his letter board. This became the cover art for "Where Is Abe?" It was a very special moment when I read that chapter, some "icing on the cake" for this generation.